10 TanTowel Plus Half Body $28 Retail Medium to Dark Tanning Tan Towels Fresh! Discontinue use and consult a doctor if adverse reactions occur. Not intended for use by persons under the age of 18. Keep out of reach of children. Other Bodybuilding Weight Loss Weight Loss Combo Bodybuilding Combo Health Health combo Male Joints Vitamins & Minerals Sports Nutrition Energy SuperFruits. Radical Tan Sun Bed Super Dark Tanning Spray - 165ml. Size 165ml. Rodan and Fields FOAMING SUNLESS TANNER New and Full Size . Condition is New. Shipped with USPS First Class Package. STEP 3: Pump the mousse onto your Tan Applicator Mitt and apply in light sweeping motions, starting from your legs and working your way up. Wait until touch dry before getting dressed. Wash palms if necessary. INSTANT Self Tanning Mousse - DARK. 2 x 200ml = 400ml. INSTANT BRONZING. LONGER LASTING. RRP £9.99 each. St Moriz Instant Self Tanning Mousse, has been specially developed with ingredients which help to create an instant bronzing effect, providing you with a perfect, all over, professional tan. INSTANT SELF TANNING MOUSSE. Gradual Tan. Daily Body Lotion For An Even. Streak-Free Natural Healthy Glow. Clarins Radiance-Plus Golden Glow Booster Self-Tan for Face. Provides a healthy and radiant glow. Alternatively, they can wash off after two hours for a golden tan and after three hours for a deep, dark tan. Alongside revolutionary depth of tan options, this versatile mist also ensures quick-drying, streak-free application and provides skin with ultimate hydration, ensuring gorgeous long-lasting results. Getönter Selbstbräuner für sofortige Bräune und Langzeiteffekt. Frische Ware! 100ml Flasche. Bronzing Water Gel. Tropical Scented Bronzing Water Gel. Natural Looking Glow Skin In 3 Hours. SUNLESS TANNING. View our Piz Buin range. View our SunSense range. View our Garnier Ambre Solaire range. View our Ultrasun range. BITES AND BURNS. SKU: 8710908710216. With Marula Oil. Vita Liberata. Self Tanning Tinted Lotion. GRADUAL TAN. Sleep Mask Tan. This is the ultimate beauty sleep: hydrated skin and a golden glow by morning. 'Tan and treat skin while you sleep'! This colourless gel is formulated to protect both clothing and linen. 2 x 200ml = 400ml. INSTANT BRONZING. LONGER LASTING. RRP £9.99 each. View our Piz Buin range. View our SunSense range. View our Garnier Ambre Solaire range. 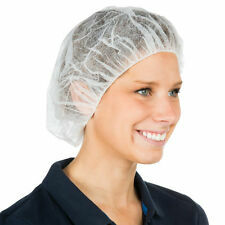 View our Ultrasun range. SUNLESS TANNING. Vita Liberata. Self Tanning Anti Age Serum. HyH20 Hydration Technology. Self adjusting color for a natural-looking tan. Banana Boat. Streak-free and for all skin tones. 150x Self-Tanning Wipes. SANTA MONICA. Quick 'N' Easy Application For A Natural Looking Tan. Longer Lasting. Fast Drying. Strip Tease Tan Eraser is designed to gently and effectively remove self-tan to reveal a fresh base for tanning. The delicate cleansing mousse removes self-tan in just 5 minutes leaving skin feeling silky smooth and nourished. Skins natural colour for a sheer bronzed effect suitable for all skin tones. of the skin for an even, natural looking bronzed effect. Add us to your favourites and check back often. We don't specialise in any particular type of product. Loving Tan bronzing MITT ONLY!!!! With softening velvet flower and jojoba oil. Subtly enhances skin tone. Original Tansie Spray Tanning After Tan One Piece Jump Suit. Re-usable: Yes! Material: Multi-layered bonded specialist fabric. Not cotton or polyester that cause sweating! The unique material is breathable and lightweight and encourages your tan to dry faster, whilst the design features no cuffs or elasticated waist helping to promote a streak free tan! A super rich, nourishing gradual tanner; The BUTTER is a multitasking, 4 in 1 replenishing and hydrating body treatment, skin perfector, illuminator and gradual tan. WHAT IT DOES With a unique blend of Vitamin E, Raspberry Seed Oil, Oat Oil and Coconut Oil, combined with Cocoa Butter and Shea Butter, The BUTTER delivers increased skin hydration as well as a natural looking, gradual glow. This rich formulation leaves an illuminated skin finish with light reflecting, micro-reflective particles. WHY WE LOVE IT • Rich & nourishing formula. • Delivers deep hydration. • Develops a natural looking, radiant glow in 1 hour. • Minimises imperfections. • Restores dry skin. • Illuminates and brightens skin. 100 ml Direktbräuner Lotion 14% DHA. Unsere Lotion heißt Direktbräuner Lotion weil Sie direkt braun sind. 1 Flasche 100 ml PEGA TAN TURBO Direktbräuner Tanning Lotion. verleihen Gesicht und Körper eine natürliche Bräune. You will received 2 boxes with 2 tubes 0.25oz ea. Total 4 tubes 0.25 oz ea. Product: Egypt Wonder Quicktan (Wear Off Formula) from Egypt-Wonder ® - Sunless Tanner / Bronzer. Sunless Tanning and Bronzing. The strictly natural formula features a single shade that blends seamlessly with every skin type and fits to each individual's natural complexion. Dove Gradual Tan Nourishing Body Lotion - Fair/Medium x 2 - 250ml each. We are the manufacturer of this mitt. DOUBLE THE APPLICATION ACTION: Our super soft and gentle application area is not just on one side like most mitts. We have the application surface on both sides! 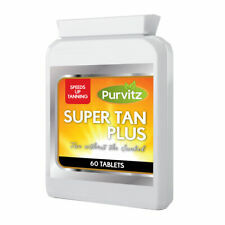 It will enhance your tanning results and help all lotions tan faster and longer. 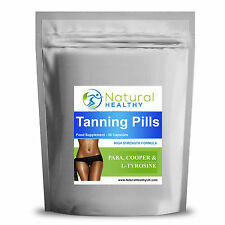 With unique blend of vitamins, that are used by the body to enhance its natural fat burning and tanning functions. WHILE YOU GET A BEAUTIFUL BRONZE SKIN. ST TROPEZ SELF TAN PURITY BRONZING WATER FACE MIST 14ML x 2 NEW. Condition is New. Dispatched with eBay delivery – Shutl 2-3 days. 2 x 200ml = 400ml. INSTANT Self Tanning Mousse DARK. INSTANT BRONZING. LONGER LASTING. FAST DRYING. Der Selbstbräuner mit Sofort-Tönung für Gesicht, Hals, Dekolleté, Beine und Hände. Er duftet angenehm und ist fettfrei und nicht glänzend. Ideal für Sie und Ihn. Getönte Selbstbräunungslotion für Gesicht und Körper - geeignet für alle Hauttypen. RODAN AND FIELDS ESSENTIALS FOAMING SUNLESS TAN! It’s That Time Of Year! New! BRAND NEW Vita Liberata Ten Minute Tan, 5.07 fl. oz.